Ever since the initial steps to develop a video telephone were taken in the late 1920s by AT&T Company Bell Labs and John Logie Baird, unified communications (UC) has been at the forefront of communication technology advancement; culminating in the release of the first real video phone in 1970 with AT&T's Picturephone service. Today’s latest video conferencing systems have surpassed their modest beginnings and are now reliable, simple to use, and most importantly becoming more affordable by the day. 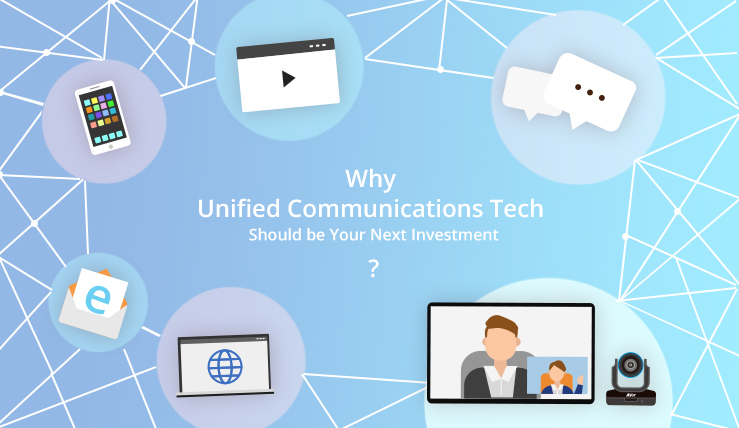 But beyond those immediate hardware benefits here are the real reasons your next investment should be in UC technologies. Don’t wait around! You can now connect immediately. Video conferencing’s main intrigue is its ability to connect your teams. Whether it is an organization’s managers, marketing, or law team, communication between these departments is the glue that holds an organization together. 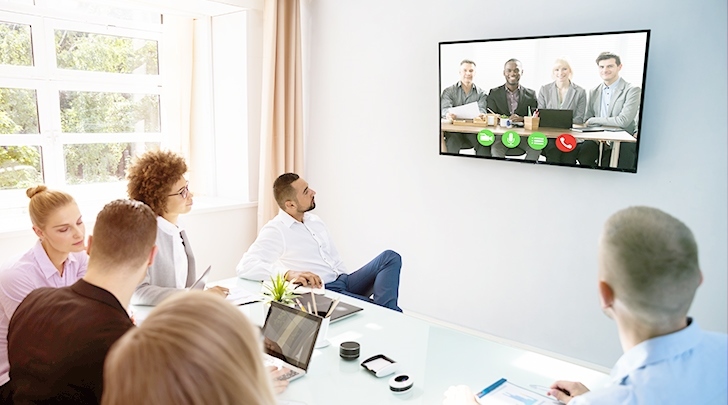 Adding the flexibility that video conferencing provides to your collaboration mix allows team members to more efficiently connect with each other from anywhere. We have seen remote team members easily connect or work from home, teachers conduct lessons from around the world, and C-suite execs on international trips call in from hotel rooms to join meetings. UC flexibility brings co-workers, teachers, and people at every level closer and adds agility to the decision making process within an organization's structure that provides positive benefits for all members involved in their use. Gone are the days of waiting for that one specific manager to make the trip out to inspect a new product or marketing campaign, or educators traveling across the globe to teach in foreign lands, video conferencing lets you connect, engage, and collaborate on your schedule and get more collaboration with less value exerted. Say goodbye to the daily commute. 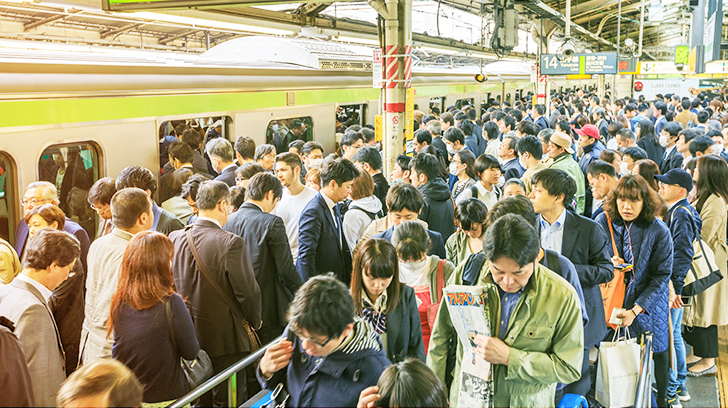 Tokyo’s current transportation system sees an average of 9 million commuters daily. That’s a lot of traffic and congestion, not to mention a crowded subway. Now think what reducing this number means: less traffic, less carbon emitted, fewer trains used, and more energy saved. Telecommuting is the latest in the work-from-home movement and Japan is taking advantage of this new idea with Telework Day. Telework Day is an initiative created by the Toyko government to reduce commuter traffic during the 2020 Olympics by having their workforce call into work. The latest Telework Day saw more than 60,000 employees video conference into work rather than commuting. That may seem like a small number, but considering Japan’s notoriously conservative work culture we can expect to see much larger numbers in other cities and countries. A larger example is from the United States, which has a telecommuting workforce of about 3%. This 3% annually adds to a reduction of 3.6 million metric tons of greenhouse emissions . Imagine bringing this number of telecommuters to 10% that would be similar to the annual amount of carbon removed by 303,000,000 trees. Unified communication solutions are providing a sustainable alternative to traditional communication strategies and as they become more commonplace in business we can expect to see huge reductions in our companies’ carbon footprints. As of this moment, businesses can dramatically reduce their ecological footprint by implementing what is becoming a more and more standard practice to help create a sustainable future. Adopting today’s UC technology puts businesses on the pathway to the future. As we continue to develop more powerful devices; UC scalability has begun to take over the smart communications discussion. Businesses today have the unique scenario of no-longer having the need to update their communications networks with new hardware every few years to take advantage of the latest protocol or app that promises to add more value, but at a significant direct cost. Future scalability advances promise to treat these new UC systems similar to PCs, where parts can be exchange or firmware updates downloaded over the web in the hopes of significantly reducing the direct costs associated with UC technologies, making the systems much more accessible to businesses of all sizes. Further, what’s the biggest word in tech you can think of these days? You probably know it as a two letter word... AI. UC systems aim to incorporate current technology to better implement AI controls in the future. 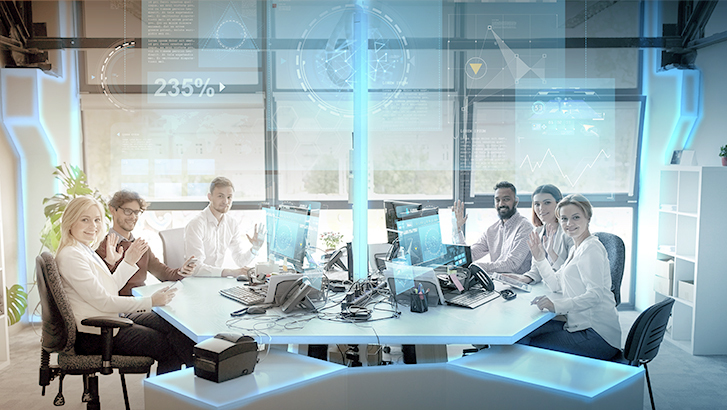 Already, development of UC systems that are capable of controlling one’s whole office space are on everyone’s mind and systems like Amazon’s Alexa or Apple’s Homepod are testament to the direction UC technologies are moving. With the scalable UC systems in development it is only a matter of time before AI takes over the office. Companies must prepare now to maximize their lead times to prepare for what looks to be the single biggest jump in efficiency since the industrial revolution of the 1800s. Video conferencing and unified communications are a springboard that can give you the communication advantage you need for successful project management. Building your communications network to improve team collaboration and performance is nothing, but a benefit for your organization. Looking to Jump Onboard the Collaboration Revolution? Join AVer and Make Communication Easier.